The College of Science and Engineering offers undergraduate and graduate degrees in basic and applied sciences to support the technical requirements of our post-industrial society. In addition, the College provides many courses supporting the science literacy requirements of non-majors. Specialized course offerings and degree sequences support Education majors seeking science and mathematics teaching certifications. The office of the Dean is located in Center for Instruction, Suite 350. The College of Science and Engineering is committed to maintaining an academic environment in which students may develop as productive citizens who will contribute to society. In this regard, the faculty recognizes the need to prepare individuals who have an understanding of the foundations and principles of their respective fields and professions. The administration of the College encourages and supports the faculty in meeting their responsibility to continue their professional development and to contribute to the University, the community, and their chosen fields. To provide the opportunity for each student to assimilate and apply the body of knowledge required by a chosen discipline through a clearly defined sequence of courses. To develop each student’s ability to think critically and to communicate effectively through creative and challenging educational experiences. To encourage each student to become a well-rounded, educated person through exposure to other disciplines within the University. To contribute to the greater body of knowledge in specialized disciplines through research, scholarship, and professional endeavor. To serve as a professional and educational resource to the local area and larger community by providing consultation and special services. The College of Science and Engineering is the academic home to several major research units, which are physically housed in the Natural Resources Center on the west end of campus. The National Spill Control School, established in 1977, promotes education on environmental issues. The primary focus of its programs is in presenting continuing education short courses on-campus or on-site for personnel involved in spill prevention and the control of oil, hazardous materials, and hazardous waste. Other areas of interest include allied safety concerns and improving knowledge in these fields through research and targeted education programs. The Center for Coastal Studies, established in 1984, is an interdisciplinary research unit of the College of Science and Engineering at Texas A&M University-Corpus Christi. The main purpose of the Center is to perform coastal ecosystem research and contract studies on the Padre/Mustang barrier island chain, the Laguna Madre, and the Nueces/Corpus Christi Bay Complex. Currently, cooperative agreements with several branches of the U.S. Fish and Wildlife Service and the Texas Parks and Wildlife Department provide research and practical training experience for Texas A&M University-Corpus Christi science students. The Conrad Blucher Institute for Surveying and Science, dedicated in 1987, encourages scientific research and education, with a special emphasis on surveying. To provide for the unique needs of Texas surveyors, the Institute is developing strong continuing education and research programs in surveying. As funds and resources permit, the Institute will also promote research and education in all of the supporting sciences. Science education is a vital base for surveyors and scientists. The Institute supports activities to improve these areas and help create professional and student interest in surveying and science. The Center for Water Supply Studies was established in 1991. The Center provides science students with the opportunity to pursue research in the broad areas of water resources. The Center also provides regional governmental entities with an academic organization through which studies of issues relating to water supply may be carried out. The Center for Information Assurance, Statistics, and Quality Control (CIASQC) leverages the skills of university experts working together with community leaders to meet the increasing demands for secured information environments and improved quality of education, government, health care and business. The mission of CIASQC is to become the primary South Texas and Gulf of Mexico resource of information assurance, modeling, statistical and quality improvement services, and software engineering for the education, government, health care, and private sectors. 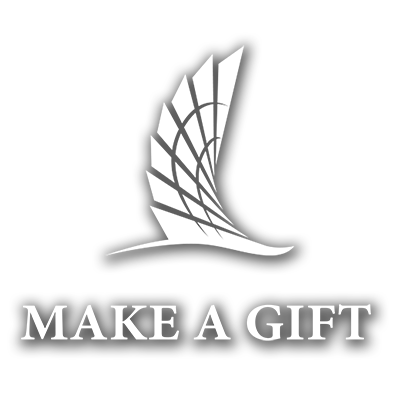 In 2000, Texas A&M University-Corpus Christi received a $46 million pledge from publisher Ed Harte to create the Harte Research Institute for Gulf of Mexico Studies. The Institute supports the Ph.D. programs in Coastal and Marine System Science and Marine Biology offered through the College of Science and Engineering. See the university Graduate Catalog for information on graduate programs. *A teacher certification program in 4-8 level Mathematics is available through the College of Education. A minimum of 120 semester hours of credit are required. Most curricula require more. Please consult the academic advisor and/or faculty advisor for specific details. Each student entering the College must comply with the curriculum requirements of the University Core Curriculum Program and University degree requirements. Transfer students can meet some or all of these requirements by transfer of courses/core curricula taken and completed prior to entry. Please consult the University Core Curriculum Program advisors. A minimum of 36 hours of upper-division course work required for graduation must be successfully completed in residence at Texas A&M University-Corpus Christi to obtain a baccalaureate degree. A minimum of 12 hours of these 36 hours must be in the major. See “Degree Requirements ” in the general section of this catalog for additional university requirements. A minimum cumulative grade-point average of 2.0 (“C”) on a 4 point scale (4.0 = A) in all work taken and a minimum grade-point average of 2.25 in all courses in the major field of study taken at this University are required. For teacher certification, grade point average requirements are higher. Refer to “Teacher Certification Programs” in this section. Each area of the College offers courses in directed independent study. These courses appear with 4X96 numbers in the course offerings of each discipline and may carry variable credit depending upon the course design. The student must register for a specific number of hours according to a course plan approved by the instructor, the Department Chairperson, and the Dean in advance of registration. The 4X96 courses may be repeated for credit. In accordance with general University policy, the student may receive the baccalaureate degree upon satisfying the requirements of the chosen degree area in the College of Science and Engineering, upon satisfying the requirements of the catalog under which credit was first earned in this university, or upon satisfying the requirements of the catalog governing any subsequent year in which credit was earned as a student in the university. In the case of courses which are no longer offered, the faculty will prescribe substitutions. Students who do not complete the degree to which they have been admitted within 6 years will be subject to review and may, if necessary, be required to update knowledge and meet catalog requirements currently in effect. Students seeking state certification to teach science and mathematics in Texas schools must major in an approved teaching field and complete all major study and related requirements for a baccalaureate degree in that field. They must also comply with teacher certification requirements. Prospective candidates for teacher certification are strongly urged to obtain current certification information from the College of Education prior to formulating a degree plan or pursuing degree-specific course work. Major study and course requirements in teaching fields are detailed in the Science, Mathematics and Technology Education (SMTE) section of this catalog and the College of Education section for the baccalaureate degree leading to 4-8 level Mathematics certification. For a complete listing of the available certification plans and details of the requirements for obtaining a teaching certificate, please consult the College of Education section of this catalog. Teacher preparation is considered to be an integral role of the College; therefore, all certification requirements are integrated into the degree requirements for those who desire teacher certification. In addition to the academic specialization discussed above, teacher certification programs require the completion of general education courses, including the core curriculum, and professional development courses. A student who seeks a teaching certificate should contact a Certification Officer in the College of Education about requirements and procedures that must be met to obtain the certificate. The professional development sequence of required courses must be taken in a specific order and it is recommended that students contact the College of Education early in their academic careers for specific details on these courses. Any amendment to a degree plan originally filed must be approved by the student’s academic advisor, the Department Chair, the Dean of the College of Science and Engineering, and the Certification Officer of the College of Education for the degree to be granted. Course requirements for a minor are determined by the faculty in each corresponding academic discipline, and variations in the minor requirements are subject to the approval of the faculty in that area. Therefore, the student should consult the description of the minor in the section of the catalog dedicated to that discipline. Questions about the minor course work should be directed to the appropriate advisor within the minor discipline.